One of the most exciting cities on the planet. The 16 best b-boys from all over the globe. Three all-decisive rounds. One victor. For years, Red Bull BC One has been the most important breakdance contest in the world. Here it’s every man for himself. One of the greatest moments in the life of any breaker is to stand on the stage and demonstrate one’s skill. 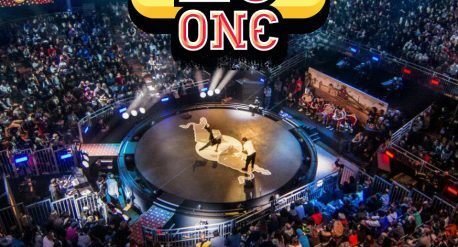 Red Bull BC One Tokyo brings us a breathtaking event full of jumps, flips and power moves and an exclusive insight into the lively Japanese hip hop culture which began in the early 80’s. We are even treated to an attack by the breakdance ninjas. Highlight of the show is the finale, which local matador Taisuke can unfortunately only enjoy from the ringside. Fighting for the title are Just do it from Holland and Neguin from Brazil, whose performance can simply not be topped.